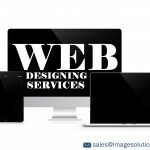 responsive web designing services – Image Editing Services to UK, USA, Norway, Canada, New Zealand, Poland Etc. Why Responsive web designing is the best way to improve mobile SEO? According to Google April 21st update – Is your website is mobile friendly?